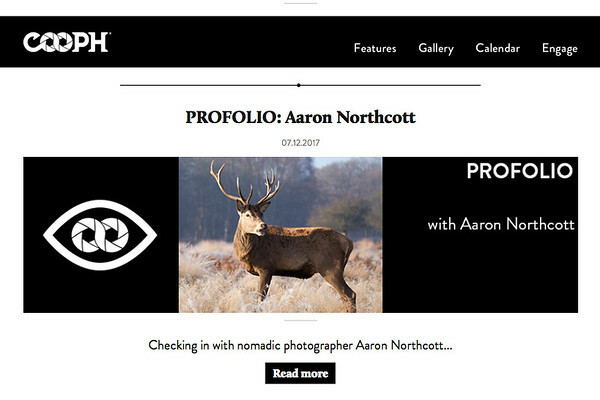 If you want some of my top advice for aspiring photographers, to find out how I got into photography myself or even the most memorable moments in my career so far, then you can't miss the latest Profolio feature in COOPH Magazine! I'm proud to have been included as a featured photographer by COOPH in this latest article. If you haven't come across The Cooperative of Photography before, make sure you take a look at their apparel lines for photographers! They produce some great looking and functional kit and clothing for enthusiasts and professionals alike.